What do you get when a group of Bay Area pilgrims are stranded on an island together? A heavenly day of hiking, camaraderie, and an ice-cold, dirty beer. 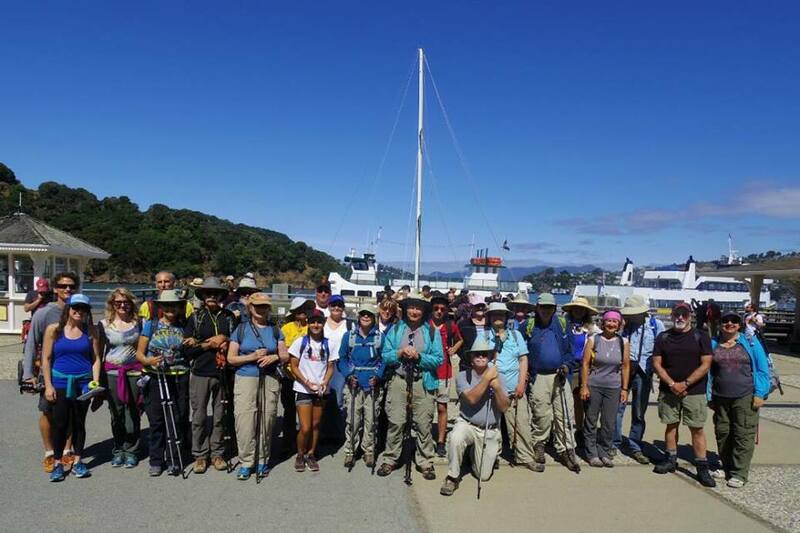 On Saturday, July 11, 2015, about thirty Bay Area pilgrims converged on Angel Island in the San Francisco Bay for a day of hiking, socializing and Camino story sharing. 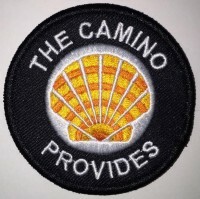 This trip was organized by the Northern California Chapter of American Pilgrims on the Camino and was featured in the Camino & Hiking Events in July event roundup. The weather was perfect as the heavy bank of fog kept its distance beyond the Golden Gate Bridge. 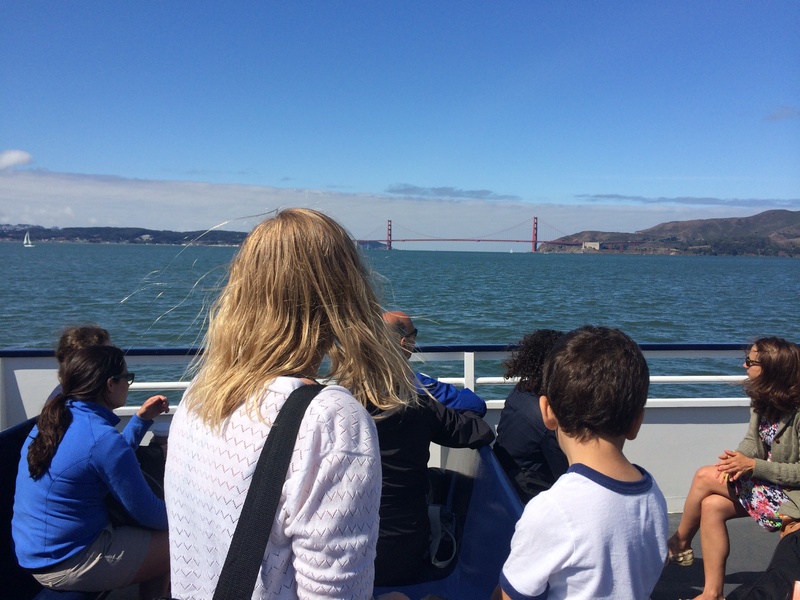 Ferry boats arrived from San Francisco and Tiburon just before the 10:30 am meet and greet. 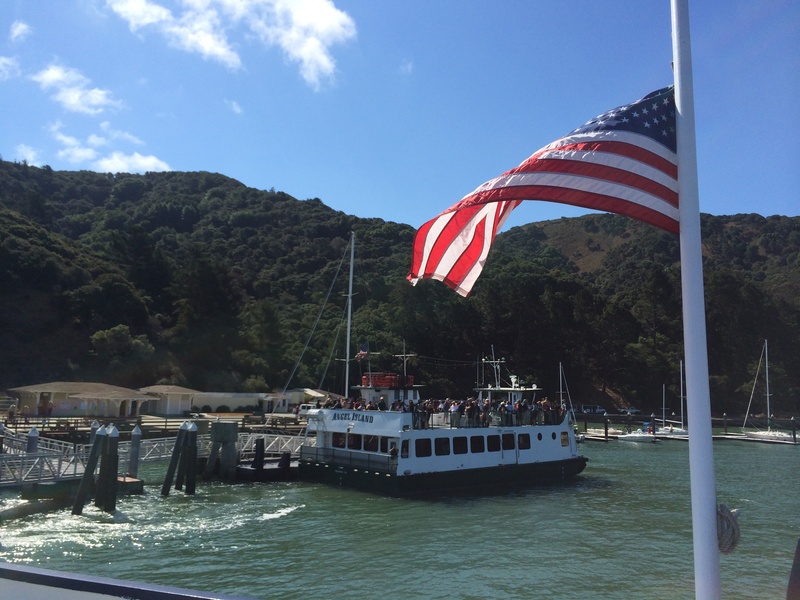 One of the leaders gave a brief overview of Angel Island’s history as the Ellis Island of the West. When he asked if we’ve done a Camino before, about ninety percent of the group raised their hands. He encouraged us newbies to ask questions of those who have walked the Camino. I love hearing Camino stories so I soaked it up like a sponge. Getting a bunch of pilgrims together for a group photo was like herding cats, but luckily one was taken before the hike. Group photo courtesy of Diana Valle, taken by Rennie Archibald, NorCal APOC Chapter Coordinator. Conversation flowed as we dispersed into smaller groups and found our walking groove. 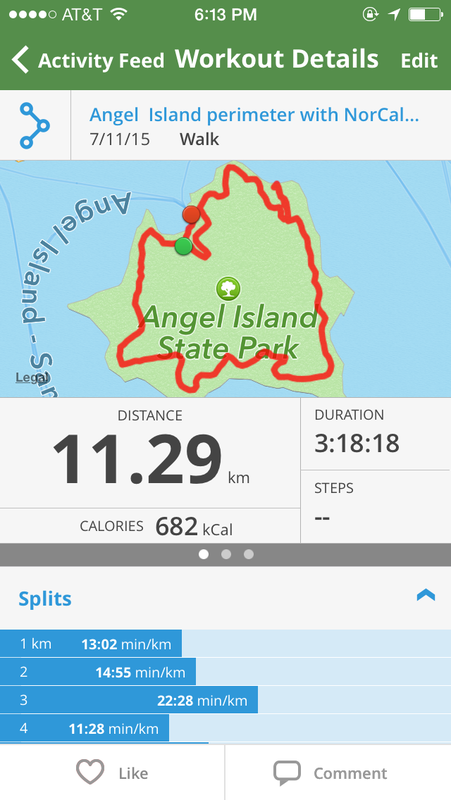 The perimeter trail is around five miles, but with the walk down to China Beach it was seven (11.3 km). We stopped a few times for photos of the incredible views and tours of the chapel and immigration stations. Camino camaraderie was strong during a rest stop in the shade where everyone offered treats to each other. Below are a few photos from my iPhone. Which way do we go? No yellow arrows! There is a selfie stick attachment for walking poles! A few people suggested that I should start from Porto instead of Tui when I do mi Caminito next year. It all depends on how much time I will have. I appreciated the advice from the experienced peregrinos. All agreed that everyone makes their own way, and that the Camino provides. By the end of the walk, an ice-cold beer was all I could think about, and apparently this was the case for many others. Fortunately Angel Island has a cantina, for I was one exhausted and thirsty peregrina. An Anchor Steam never tasted so refreshing. One of my new Camino buddies calls the ritual a “dirty beer,” meaning, at the end of a day’s hike on the Camino, he drinks a beer before taking a shower. He said he learned it from a German pilgrim on the Camino. I can get used to that. Salud! Special thanks to Rennie and Rob for taking the lead on this fun adventure. I think we all had a buen Camino! Thanks Lin. 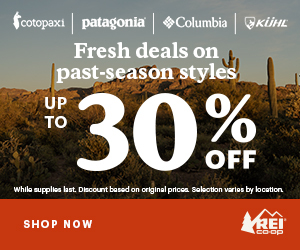 Sorry you missed it too, but I’m sure there will be more hikes in the coming months. Glad you enjoyed the post!